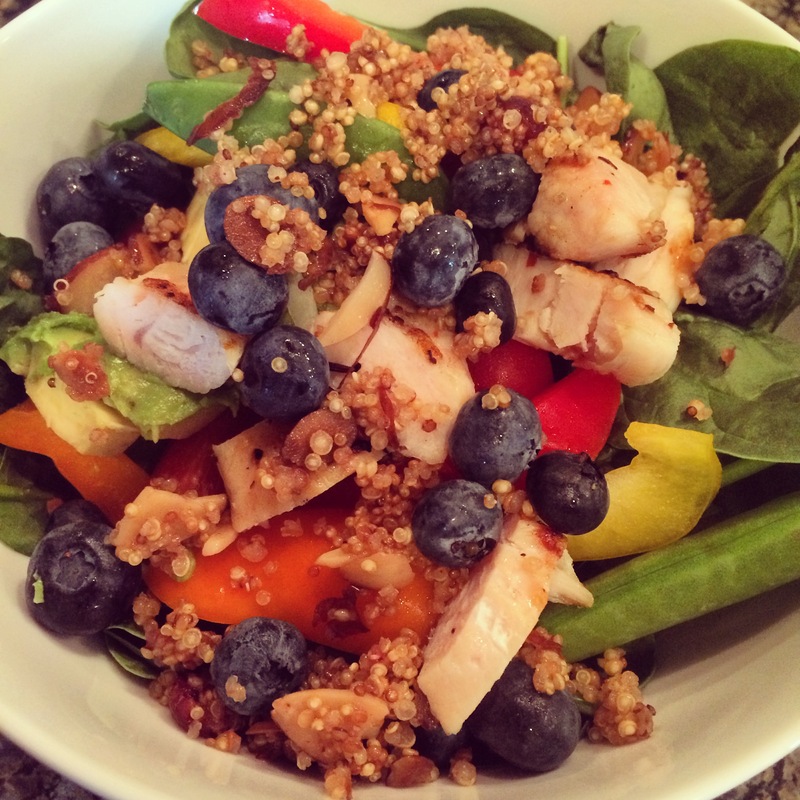 I’ve been on a bit of a quinoa kick however after making a double recipe of my quinoa salad a few weeks ago – which lasted over a week – I knew it was time to switch things up! 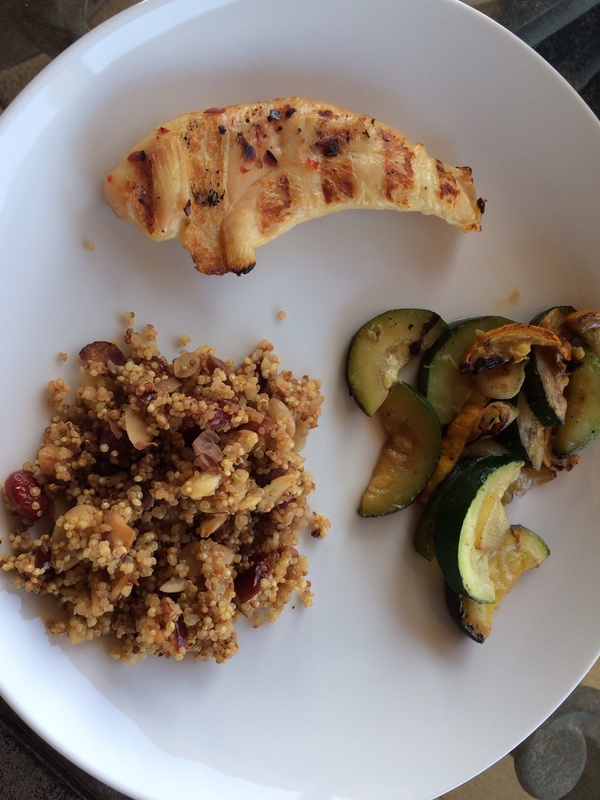 I was inspired by the recipe on the back of my quinoa bag from SAMs club and made a few tweeks to make it my own – and it turned out delicious!!! I love when I can do an entire dish in one pot! And this is no exception. I started by toasting 1/2 cup slivered almonds over medium heat until golden. This smelled amazing while cooking and tasted even better! Excited for the leftovers!!! These leftovers were great cold added to some salmon and grilled veggies and as a topping on a salad. 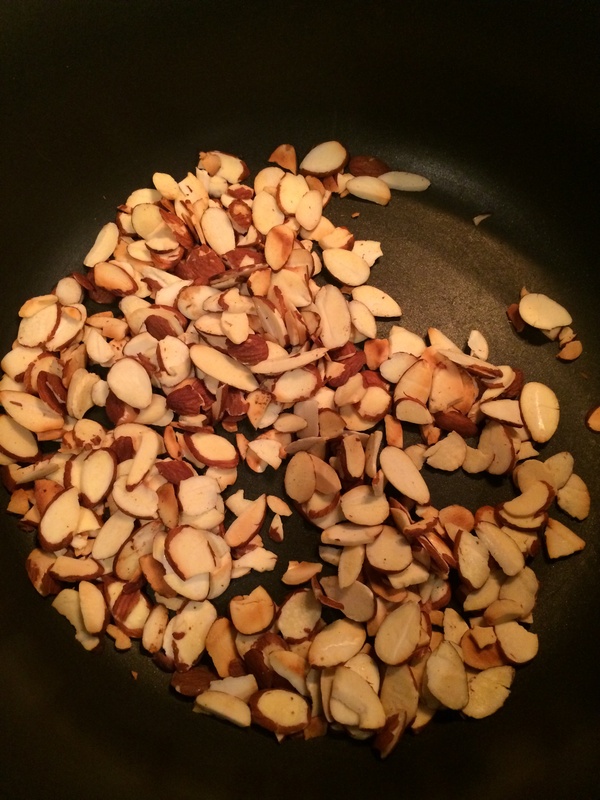 Over medium heat, stir and toast the slivered almonds until golden. 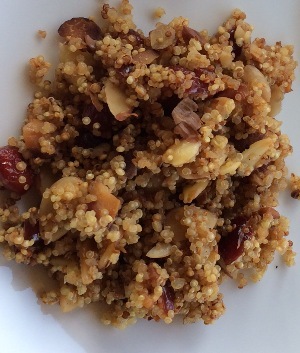 Add the quinoa and toast a few more minutes until quinoa begins to darken. Add remaining ingredients, bring to boil, covered, then reduce heat to simmer for 10-12 minutes. Remove from heat and allow to sit for 5 minutes. Fluff with fork and serve! NOTE: We enjoyed the leftovers the next day and left them cold – I may have actually liked that better!!! If you’re interested in learning more about clean eating, join one of my upcoming accountability and support groups! !